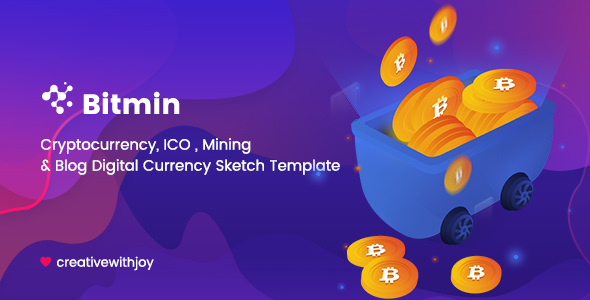 BITMIN – Cryptocurrency Currency ICO, Mining Sketch Template is a template with luxury design options, bitcoin mining websites, cryptocurrency farming exchange and trading, digital currencies… Not only the built-in modern design choices are aesthetically pleasing, it’s packed with multi possible layout combinations suitable for blogs and elegant magazines. We believe that our template will appreciate and become very functional site. 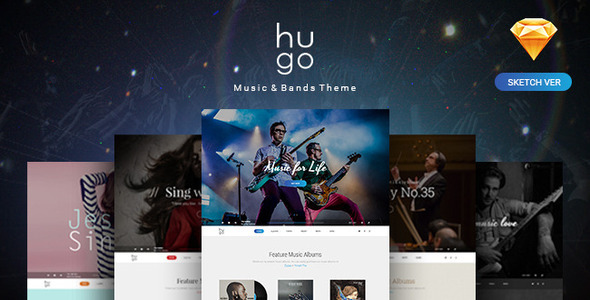 Hugo is a unique and creative Music & Bands Sketch Templates with clean and modern design. It is perfect choice for musician and bands website. 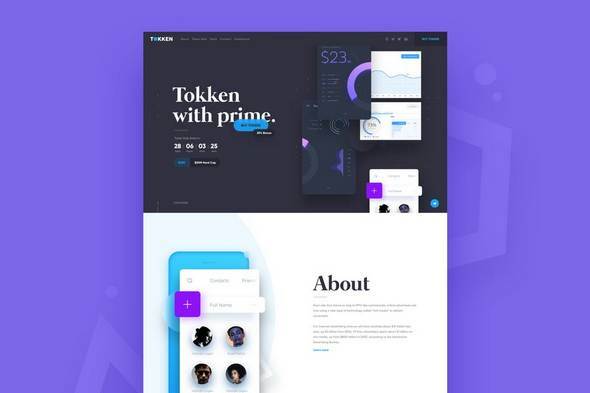 Pick this to make your website standing out. 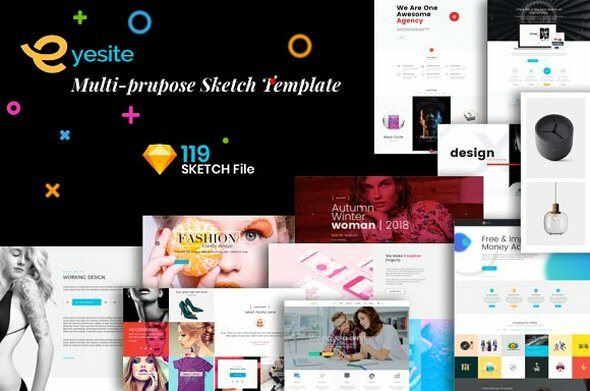 Multi-Purpose SKETCH Template UI Kit is modern, clean, multiple functions and professionally. We have created 119 SKETCH files, It has 18 Homepage layout Options! 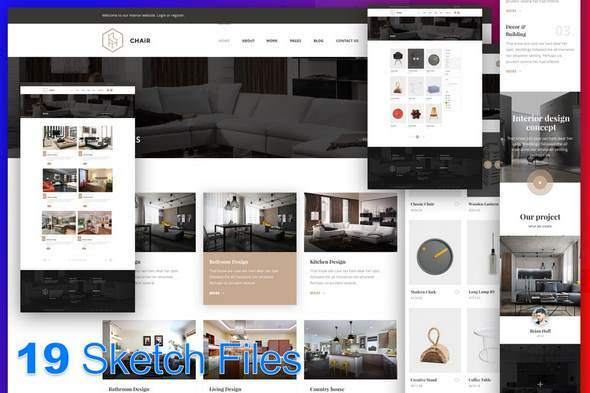 This SKETCH template suits for any type of portfolio, creative, corporate, agency, bussines, fashions, model, shopping and more… The SKETCH is designed on grid 1170 px and can be easily conversion into responsive HTML, Wordpress, Joomla and other systems. This is a perfect choice! 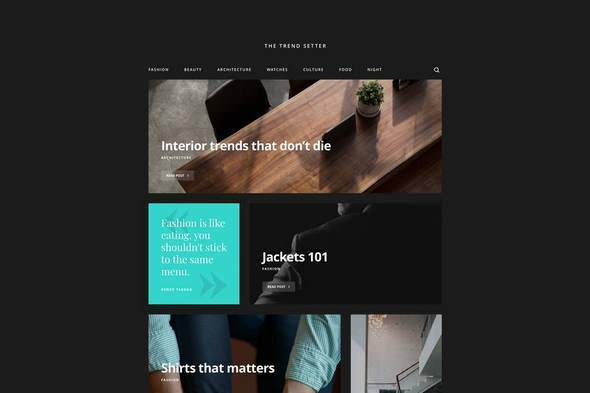 Chair – Premium Interior Sketch Template with clean and modern style one page design. 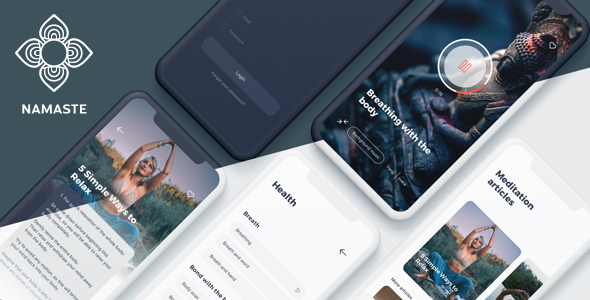 Greenut sketch UI Kit will help you to create e-Commence mobile apps which includes 2 screen sizes (iPhone X, IPhone 8). 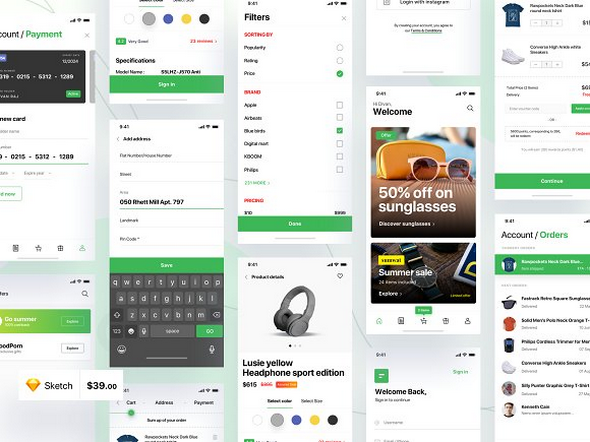 Create beautiful brand new commerce app for your business now with Greenut UI Kit. 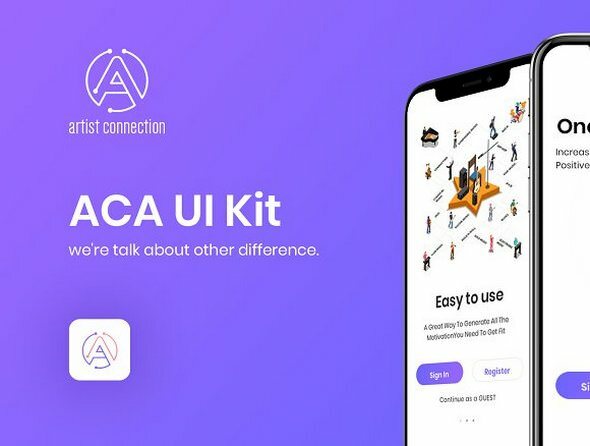 ACA UI Kit is a concept for an application which help to connect the artists with the showman's or personal user, who want to hire performers in their own parties. The kit was designed to be simple and striking for iPhone X, includes 50+ iOS screen templates made in Sketch. ACA was created on powerful and easy-to-use to inspire for your own projects. This is a uniquely designed dashboard UI kit with a modern look. 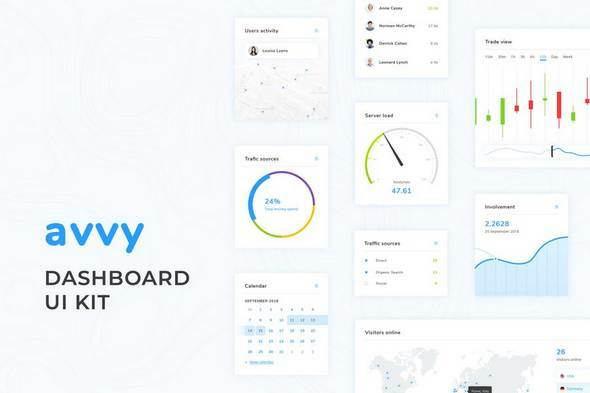 A fully design admin dashboard. It can be use in various types of web application such as admin panel, project management system, admin dashboard, application backend and so on. Coin Market Cap - Bitcoin & Crypto Market Web Template. Dark & Light Theme for Sketch & Photoshop. 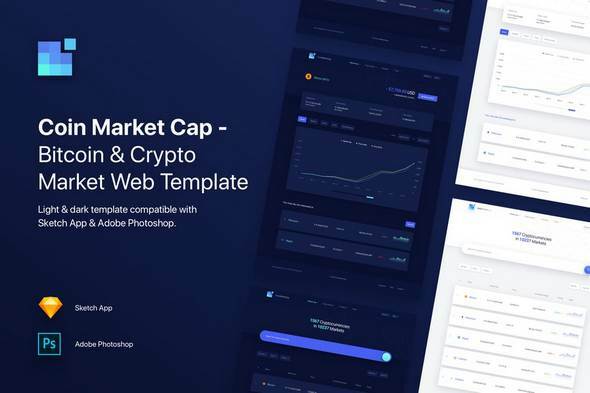 Coin Market Cap is web template which can help you to design cryptocurrency market, review cryptocurrency, buy or sell. Each screen is fully customizable, exceptionally easy to use and carefully layered and grouped in Sketch app & Adobe PhotoShop.